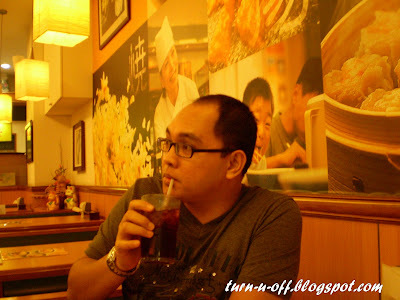 Last Thursday night, we went to One Utama for dinner. 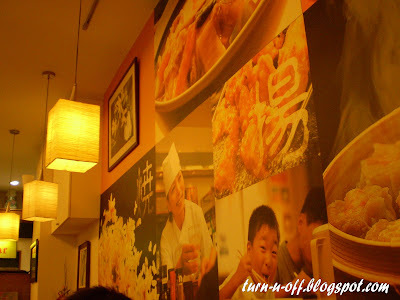 Mybf wanted to try Shogun Japanese Buffet, but I do not want him to end up paying RM100++ (RM50.00++ per pax) for the buffet because we have to rush like mad cows after that no time to stay as long as we like and eat as much as we like since we had bought tickets for 11.25p.m. show. So, we went to Hachi (8)-ban Ramen instead. 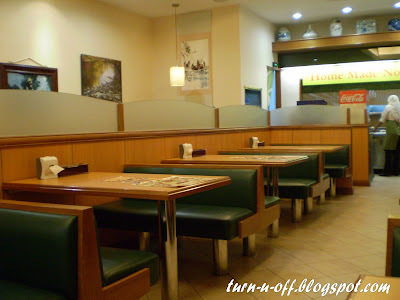 It was almost 10p.m and we were the only customers! 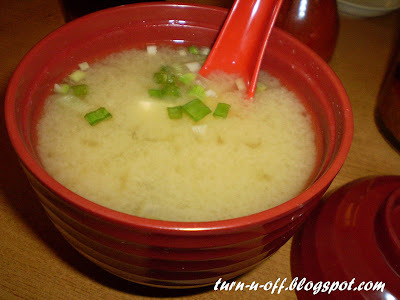 The history - In 1967, a small, crude ramen shop opened along Route 8 at Kaga city, Isikawa, Japan. Because of the high reputation of this shop’s main menu, vegetable ramen (noodles), many customers stood in line to eat the famous ramen. Although there were only 25 seats in the shop, 300 bowls of ramen a day were sold during their peak. 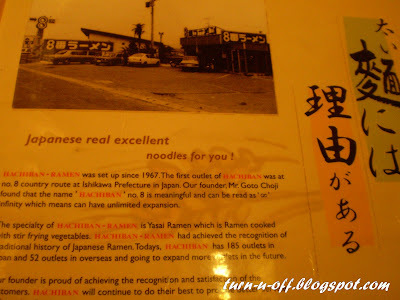 “Hachi-ban Ramen”, was named after Route 8 and the master of the shop was Chouji Goto, the founder of Hachi-ban Ramen Group. We believe serving the vegetable ramen repeatedly is the way to extend our passion for ramen to the customers. 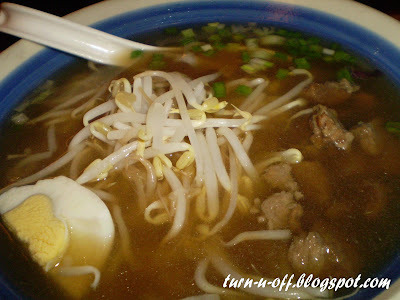 Gyuniku (beef) Ramen Set (RM15.80). Food was OK, not the best and nothing special. Initially we planned to play pool, but 20 minutes before the movie starts, I dragged mybf to check out the karaoke near the bowling centre. We haven't tried this before, so I asked mybf to give it a try. Anyway, it's only RM1 per song! The moment we entered the room, omg, my washroom is bigger than this room! I tell ya, this is the WORST karaoke experience EVER. The sound system is very, very poor! When mybf sang the first song, I could only hear the guy next to our room shouting singing his heart out and I saw him dancing. When I looked at him, he looked at me and smiled. ohmygod! When comes to the second song, I could only hear the loud music from the speakers as if the room's going to explode soon and we couldn't even find the button to adjust the volume! I know, I know. It's only RM1 per song. What do I expect, right? At that point, I couldn't stand anymore so I pulled mybf out. 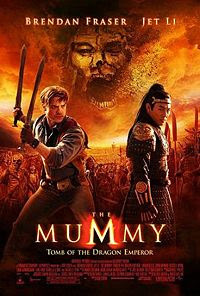 We watched The Mummy: Tomb of the Dragon Emperor and I enjoyed it immensely. The filmmakers mix Hollywood adventure with Chinese martial arts and fantasy (known as "wuxia" films). What a grand pleasure it is to watch Jet Li and Michelle Yeoh, the two world-class stars in action again. Plenty of action in fact. Well, if you've seen the first two movies, you already know the characters and the movie will make sense. If not, you may want to do some home viewing before your trip to the theatre. OMG! 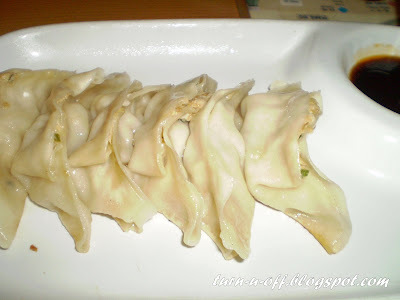 gyoza, miso soup and gyuniku ramen, drool, drool. those are all my faves. 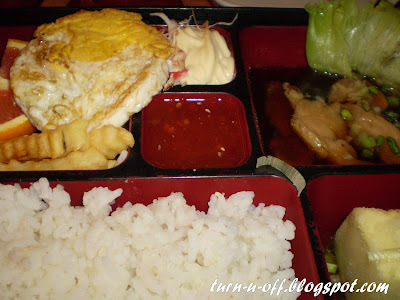 i just love japanese food, and oh you missed the chahan, lol. Why were there fries and poach eggs in the Japanese set? 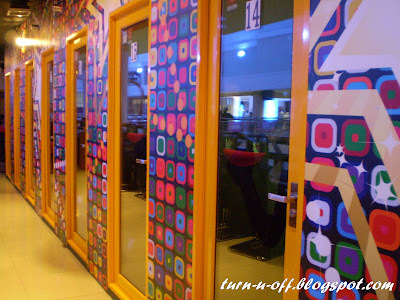 The Karaoke booth looks interesting, never seen those before! p/s: Added the answer of the rainbow at the bottom of the same post! It's a good thing you didn't go Shogun - it would be a waste of money not because you don't have much time to enjoy it, but because the food is damn lousy! 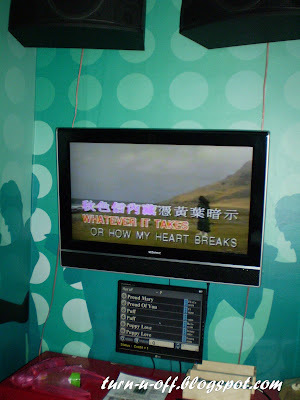 I didn't know there's karaoke boxes near the bowling area. When did they started that? Reading about how lousy the sound system was, I think better go to those proper karaoke like Neways which is near the bowling area too. 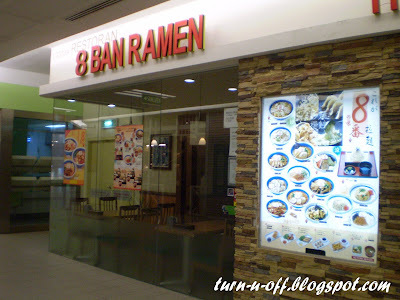 I had the worst noodle (Ramen) yeaterday at Mid-Valley. No more Ramen!!!!! I think more then 1 year I have not step into the cinema! Hi Monica, for some reason or other I've never gone for Japanese food. Read Michelle Yeoh acting in that movie? Might get the CD when it comes out. I love karoake, and we have a unit at home, mostly oldies...I love to sing, 'Last waltz, Release me, Cheatin' heart' too. You have a great week, Lee. The food was really just ok? Wow it looks awesome...but then again I am a huge fan of almost any ethnic foods. I am in Mexico and the food here is awesome...way better than what I get in the states. Exactly! Anyway, it'll definitely be the FIRST and LAST time we ever go there. Re the karaoke, I've no idea when did they start it. Yup. Better go to Neways karaoke! aww...sorry to hear that! which restaurant? Hi! Yes, Michelle Yeoh's acting in that movie. Yeah, the was really just ok! 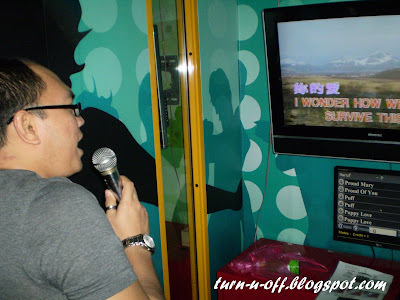 I blogged about that karaoke before here. LOL.